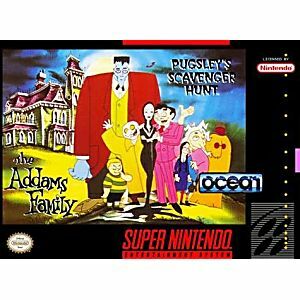 Addams Family Pugsley's Scavenger Hunt SNES Super Nintendo Game Cartridge Cleaned Tested and Guaranteed to Work! 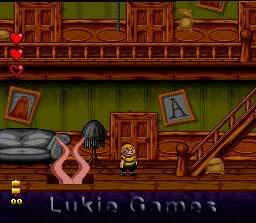 Darling little Pugsley has lost his family to kidnappers who have hidden them as prisoners in their own spooky home. 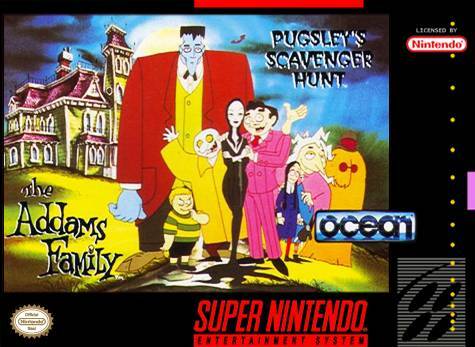 Only lovable little Pugsley can rescue them by hunting for delightfully strange items located in secret spots in their weird mansion. What oddities and atrocities await him! So get ready to get spooky and get set to get kooky... it's Pugsley's Scavenger Hunt! 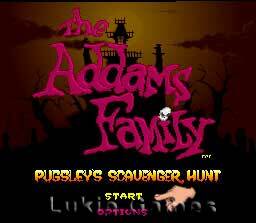 I've played the Addams Family game before when I was a kid and this is just as fun and just as challenging. It's great, I love it. Shipping was fast and no problems or glitches.